This week as the festive season kicks into gear I spent some time pottering in the garden and being creative. 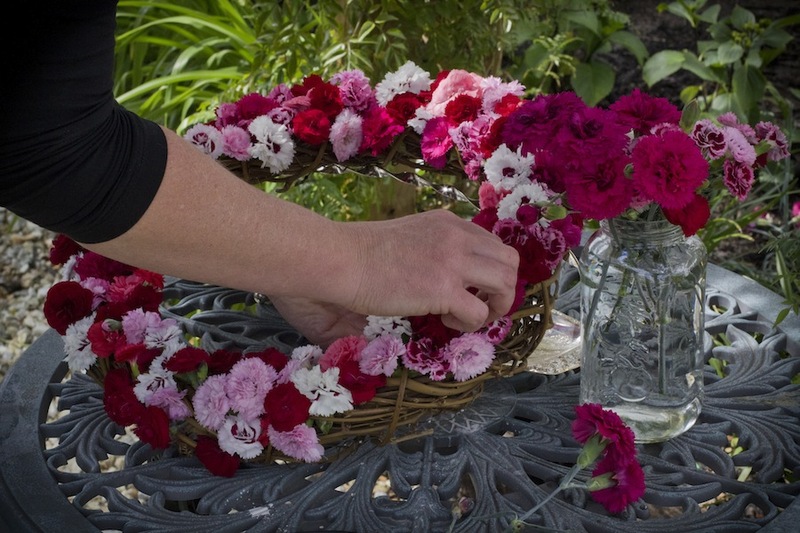 The result was a Dianthus wreath. 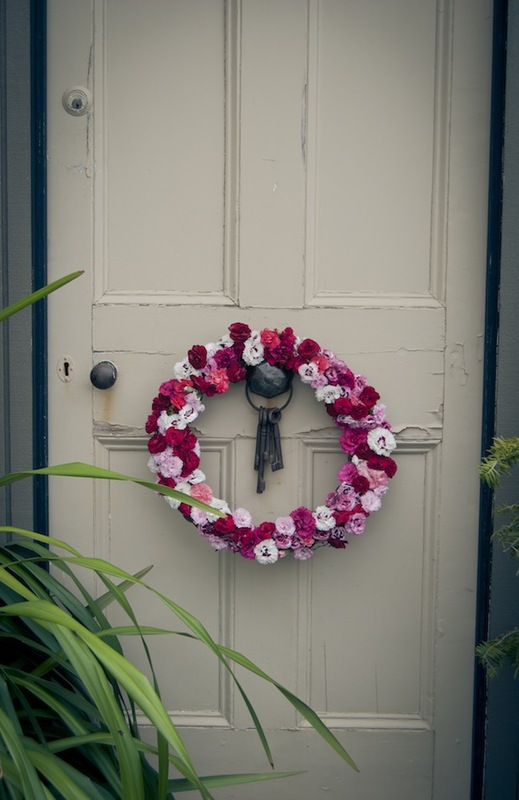 I used an old wreath salvaged from the local tip shop and it was a luxury to spend an hour picking the gorgeous blooms from our current garden displays and building a little piece of garden art. It made a great talking point at our entrance and a perfect way to spread some Christmas cheer to visitors on that special occasion. 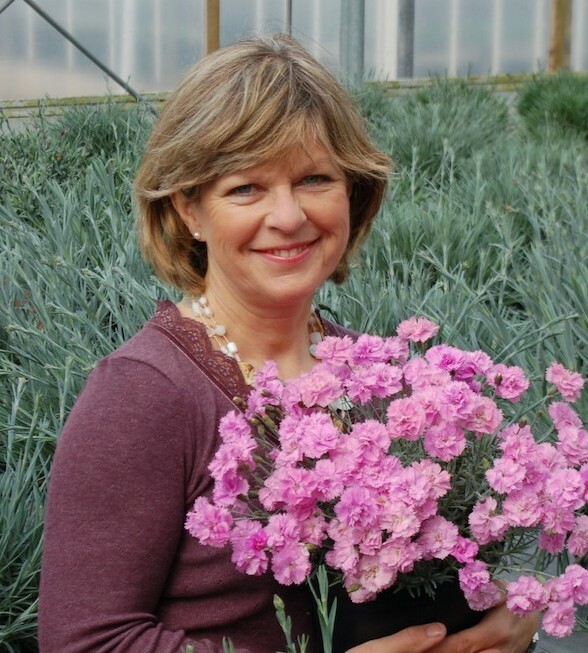 The beautiful Dianthus ‘Scent First’ range comes from a world renowned breeder in the UK, Whetman Pinks. 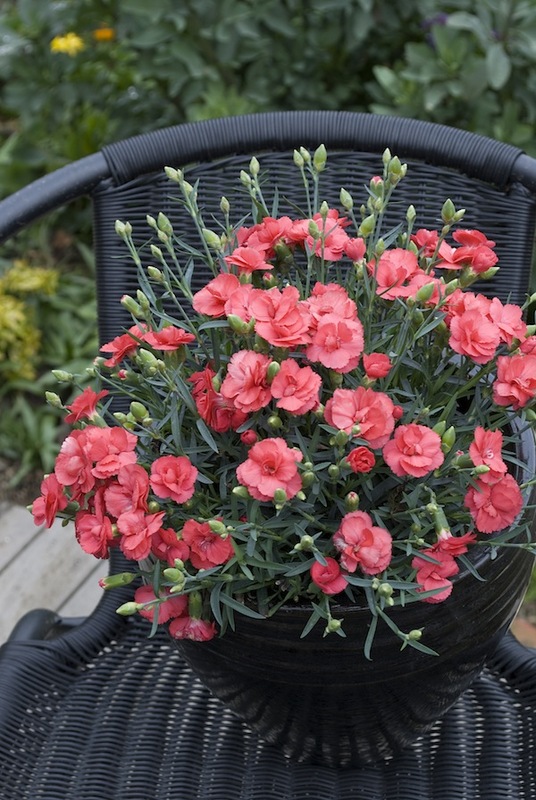 Whetmans are a family owned company dedicated to the production of superior dianthus, and have definitely achieved their goal. They are widely accepted as world leaders in their field. Carolyn Whetman, head of the company is a wealth of knowledge and warmly shares her expertise for this beautiful genus with people all over the world. 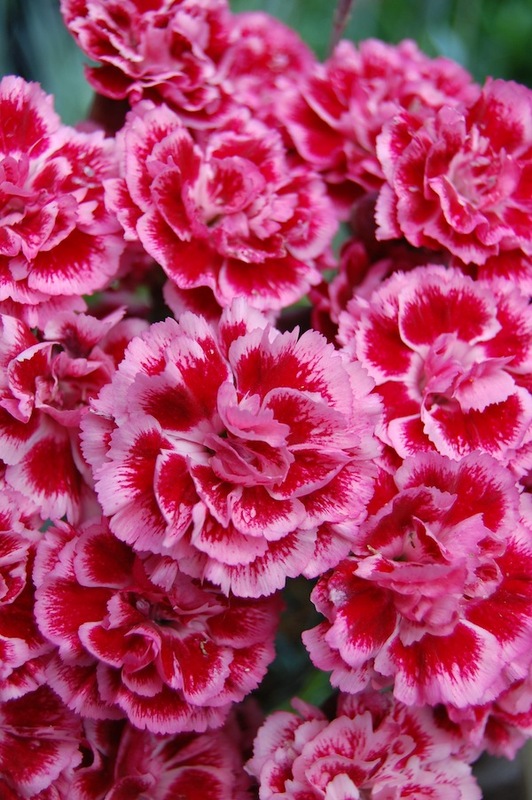 She is the Dianthus ‘queen’ and her amazing property in England is a breeding facility dedicated to bringing us new colours and forms to enjoy. 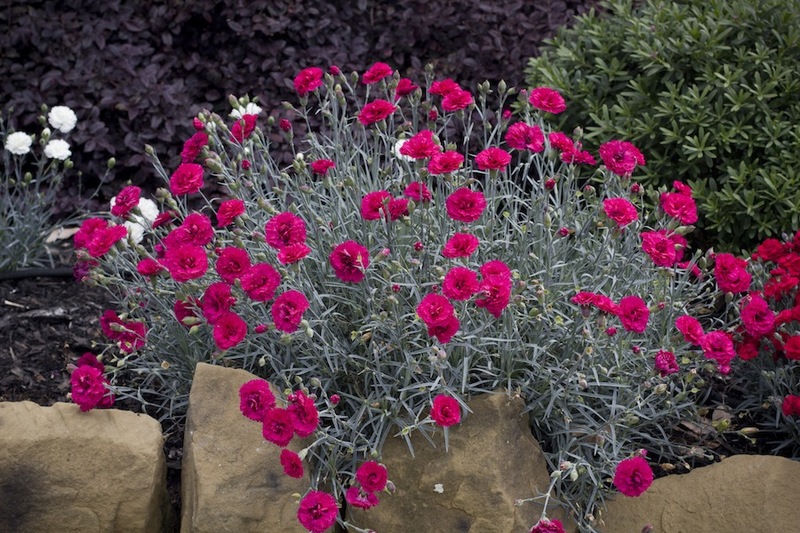 Whetmans dianthus are award winning, both for their looks and exceptional performance. You will be instantly transformed back to the splendor of your grandmothers gardens with these beautifully fragrant varieties. Despite their elegant and dainty appearance they are amazingly hardy and dry tolerant. Whetmans Dianthus, sold under the banner of the ‘Scent First’ Collection in Australia come in a range of stunning colours, flower sizes and heights. This range has been specifically selected to suit Australian conditions. They thrive in dry spells and hold their great form. They’ll also give you an amazingly long flowering period. You can enjoy them in the garden, but they are also great as a cut flower – in fact picking them will encourage even more flowering. Mine last for a couple of weeks in the centre of the dining table, and their fragrance wafts gently around the room. These dianthus are great as the colours are so bold. You can stick with one colour for a classic look or throw a whole bunch together for a really bright mix. Keep an eye out for them in garden centres as new colours as being added to the mix each year. And think of Carolyn and her family when you purchase one – all their hard work lets us enjoy a beautiful slice of English country gardens! Where can you find red wreath flowers in WA?